From the Archive: Today is the 15-year anniversary of what was described as “the largest protest event in human history” – the Feb. 15, 2003 coordinated day of demonstrations against the U.S. invasion of Iraq. On this occasion we republish an article by Nat Parry detailing the concerns driving millions of people to take the streets. Iraq’s “Day of Liberation” – as George W. Bush calls it – is set to begin with a bombardment of 3,000 U.S. missiles delivered over 48 hours, 10 times the number of bombs dropped during the first two days of the Persian Gulf War in 1991. Officials who have been briefed on the plans say the goal is to so stun the Iraqis that they will simply submit to the overwhelming force demonstrated by the U.S. military. 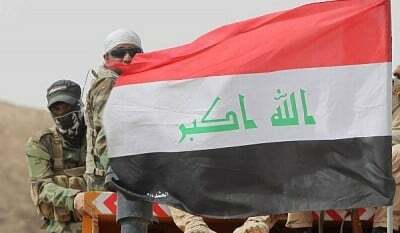 Along with the destruction of buildings and the death of thousands from the explosive power of the weapons, the U.S. invasion force intends to paralyze Iraq’s electrical and water systems, supposedly leaving Iraqi soldiers and civilians alike with no choice but to throw up their arms and surrender. Never before in world history will a dominant world power have struck at a much weaker nation in a preemptive war with such ferocity. The strategy could be called liberation through devastation. But the war plan also carries with it the potential of spiraling out of control, as Bush secretly brandishes nuclear weapons as a threat against the Iraqi government if it unleashes biological or chemical warfare against U.S. troops. Even if the war does not bring the world a big step closer to the apocalypse, it is certain to mean the death of hundreds, if not thousands, of Iraqi non-combatants, no matter how targeted or precise the U.S. weapons. For those civilians, their end may come in the dark terror of crushing concrete or the blinding flash of high explosives, as it did for about 1,500 Iraqis who were crushed and incinerated in the early morning hours of Feb. 13, 1991. These civilians were hiding in the al-Amariyah bomb shelter in a suburb of Baghdad at 4:30 a.m. when the first U.S. bomb ripped a hole in the shelter’s roof. Neighborhood residents heard screams as people – mostly women and children – struggled to push aside rubble and escape. Then, the second bomb zipped through the hole created by the first bomb. That explosion was followed by silence, with fewer than two dozen people surviving. 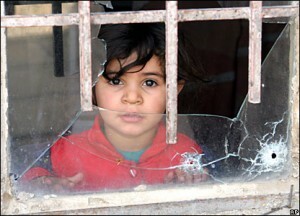 According to international relief agencies, the suffering has continued over the following decade. Since the war’s end, Iraqi civilians have continued to die as a result of a badly damaged civilian infrastructure, crippling economic sanctions and high cancer rates attributed to hazardous chemicals released during the war, including the Pentagon’s use of radioactive depleted uranium shells. The United Nations predicts that the civilian casualties of a new war will likely be even higher than in 1991, since the impoverished population is heavily dependent on government handouts to survive and those supplies will be disrupted by a U.S.-led invasion. In a confidential report, UN planners say the coming war and its aftermath could injure more than 500,000 civilians and leave nearly 1 million as refugees. About 3 million Iraqis – out of a population of 23 million – will suffer severe hunger, the UN report said. As many as 7.4 million people will need immediate humanitarian relief. “The nutritional status of some 3.03 million persons countrywide will be dire,” the UN report said, adding that beyond hunger, disease will sweep the country in “epidemic, if not pandemic” proportions. Those warnings are echoed by other independent studies. According to a Boston Globe article, the combination of the 1991 war and a decade of UN sanctions has transformed Iraq from a relatively prosperous Middle Eastern country – where a chief health concern had been childhood obesity – into a Third World nation where even casual observers can’t miss how Iraqis struggle to survive. If the war doesn’t end quickly, however, the interruption of these services can be expected to spread disease and death among the civilian population. If Iraqi troops withdraw into Baghdad and other major cities, forcing the U.S. military to wage time-consuming urban warfare, the lack of clean water and the absence of medicines could prove as deadly as the U.S. armaments. The U.S. bombing campaign also will surely claim many civilian casualties. While the Bush administration stresses that its planned bombardment of ancient Baghdad and other cities will concentrate on military and government targets, the Pentagon’s track record for precision bombing doesn’t instill confidence. In recent conflicts, U.S. warplanes have inflicted substantial civilian death, either accidentally or on purpose. For instance, in 1999 during the Kosovo crisis, U.S. warplanes killed non-combatants when going after civilian targets in Yugoslavia, such as bridges and even a television station that was deemed a government propaganda outlet. The lethal attack on the TV station was intentional. An international uproar followed the apparently accidental bombing of the Chinese Embassy. The CIA blamed an “outdated map” for that fatal attack. In the Afghan bombing campaign, U.S. warplanes struck two wedding parties and twice bombed the headquarters of the International Red Cross. It is estimated that the U.S. bombardment of Afghanistan has killed about 4,000 civilians. A major difference between Afghanistan and Iraq, however, is that Afghanistan consists of a mainly rural population and Iraq has a largely urbanized population, with Baghdad alone crammed with about 5 million people. There is also no telling how out of control the war could spin, with Bush determined to destroy Saddam Hussein’s government to avenge what many conservatives view as George H.W. Bush’s failure to finish the job in 1991. Bush’s order, signed last September, reverses a decades-old U.S. policy of creating deliberate ambiguity about how Washington would react to a situation in which unconventional weapons were deployed against U.S. forces or their allies. In addition to an “overwhelming” retaliatory nuclear strike, Bush also is considering plans to use “tactical” nuclear weapons to destroy underground bunkers and similar critical targets. The Los Angeles Times reported that the Pentagon is hastily developing computers to help decide when nuclear weapons would be used against fortified bunkers and how to measure collateral effects from radiation and fallout. “From the start of the Bush administration, we have seen increasing interest in ‘usable’ nuclear weapons,” said Christine Kucia, analyst at the Arms Control Association, a research group that studies proliferation issues. Bush also may find that his goal of destroying Hussein and his government has been countered by Iraq’s suspected pre-positioning of chemical and biological weapons outside Iraq for use only if the United States invades. In other words, Bush’s strategy might touch off precisely the nightmare scenario that he says he is trying to prevent. Last October, the CIA judged the likelihood of Iraq attacking the United States without U.S. provocation as “low” but rising dramatically if the U.S. prepared for a preemptive strike. Since the CIA’s assessment, the Bush administration has received specific warnings from abroad that easily transportable stockpiles of chemical and biological weapons indeed have been moved outside Iraq so they can be deployed against Western targets as retaliatory weapons. But what if the vial, canister or crate is already en route? Might that “day of horror” actually be precipitated by Bush’s invasion of Iraq, not delayed or prevented by going to war? Certainly, if one accepts the “evil” portrait of Saddam Hussein as painted by Bush, you’d have to assume that Saddam has long ago moved these dangerous weapons into positions where they can be of the most use to him – as a retaliatory weapon against a U.S. invasion. Yet even assuming U.S. forces succeed in eliminating Saddam Hussein and his army without a catastrophic escalation, the post-war period promises to be complicated and dangerous. 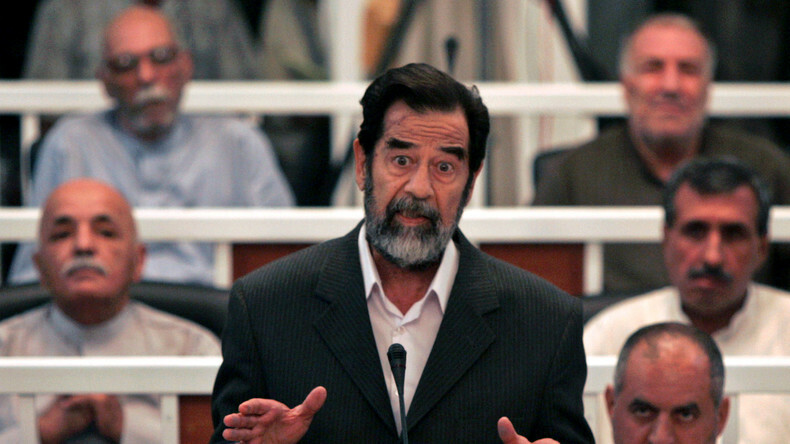 The Bush administration has sent out mixed and confusing signals about what a “liberated” Iraq will look like. At times, the administration has outlined plans to occupy Iraq for at least 18 months, possibly installing a military governor in the style of Gen. Douglas MacArthur in Japan after World War II. But it is not clear how the U.S. will police a population that is certain to include anti-American radicals ready to employ suicide bombings and other terror tactics against an occupying force. Some of Bush’s political allies also have urged pumping Iraqi oil to compensate the U.S. government for the war’s cost. While this idea might play well with Americans wary about paying billions of dollars in scarce tax dollars to occupy a foreign country, it won’t sit well with many Iraqis and millions of others across the world, especially Islamic populations that already suspect a Western imperialist motive behind the war. The war’s devastation and the U.S. occupation also could play into the hands of the terrorist leader who had been the focus of the war on terror before Bush shifted his attention to Iraq. 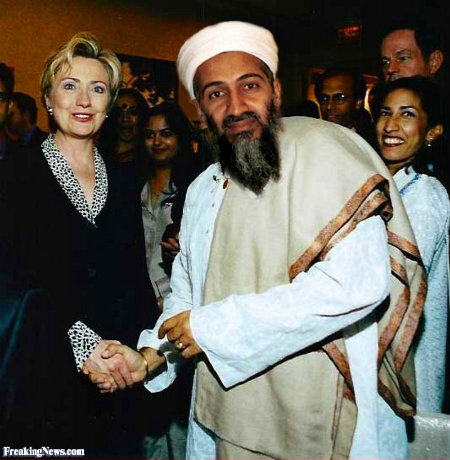 The still-at-large Osama bin Laden spelled out in a recent message that he plans to gain a propaganda advantage from any U.S. invasion and occupation of Iraq, by presenting himself as the defender of the Arab people. George W. Bush drew his own line in the sand during his State of the Union address. “Trusting in the sanity and restraint of Saddam Hussein is not a strategy, and it is not an option,” Bush declared as the U.S. built up a vast military force surrounding Iraq. How many of those innocents are not spared in the impending invasion – and the numbers of dead are likely to horrify the world – may become the new measure of how dangerous the post-war period will be for both the American and the Iraqi people.